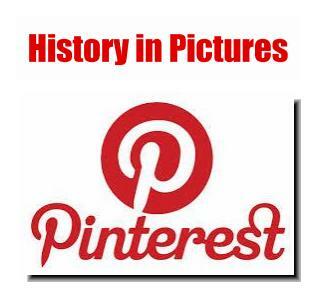 ILLUSTRATED HISTORY: RELIVE THE TIMES: Images Of War, History , WW2: Kamikaze! The Japanese word Kamikaze' is usually translated as "divine wind" (kami is the word for "god", "spirit", or "divinity", and kaze for "wind"). 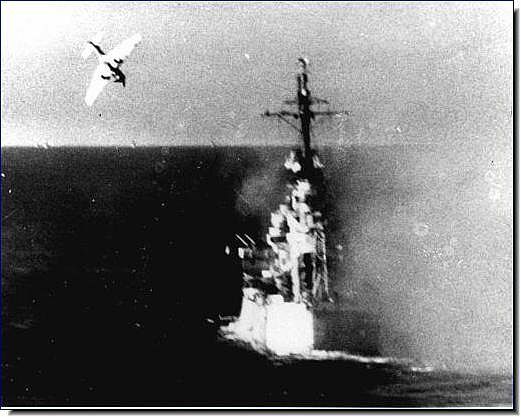 The word kamikaze originated as the name of major typhoons in 1274 and 1281, which dispersed Mongolian invasion fleets. Commander Asaiki Tamai asked a group of 23 talented student pilots, all of whom he had trained, to volunteer for the special attack force. All of the pilots raised both of their hands, volunteering to join the operation. Later, Tamai asked Lieutenant Yukio Seki to command the special attack force. Seki is said to have closed his eyes, lowered his head and thought for 10 seconds, before saying: "Please do appoint me to the post." 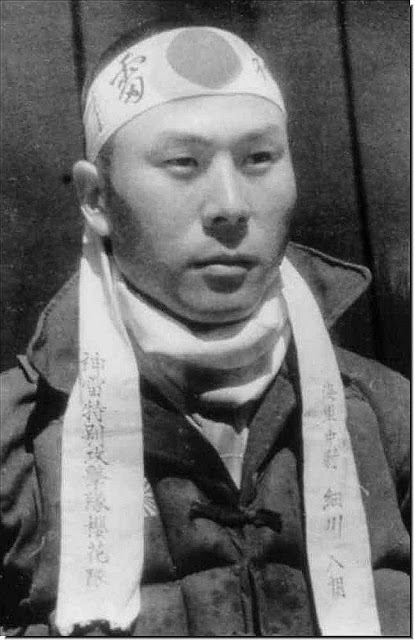 Seki became the 24th kamikaze pilot to be chosen. However, Seki later wrote: "Japan's future is bleak if it is forced to kill one of its best pilots. I am not going on this mission for the Emperor or for the Empire... I am going because I was ordered to!" 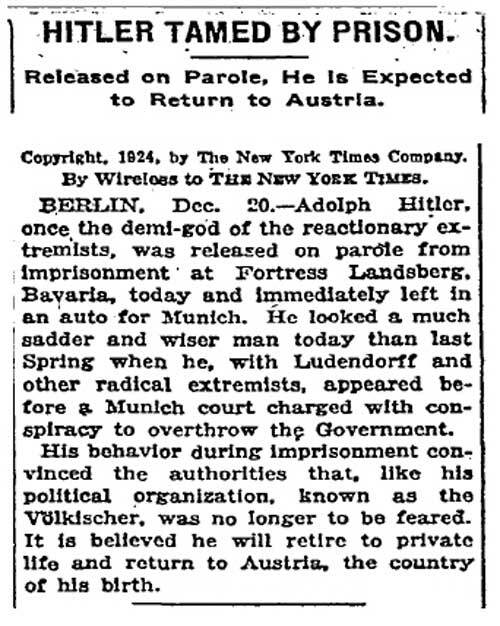 During his flight, his commanders heard him say "It is better to die, rather than to live as a coward." When the volunteers arrived for duty in the corps there were twice as many persons as aircraft. 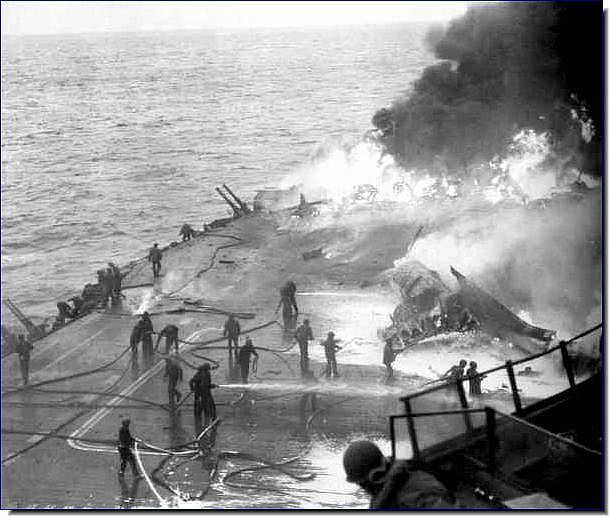 "After the war, some commanders would express regret for allowing superfluous crews to accompany sorties, sometimes squeezing themselves aboard bombers and fighters so as to encourage the suicide pilots and, it seems, join in the exultation of sinking a large enemy vessel." 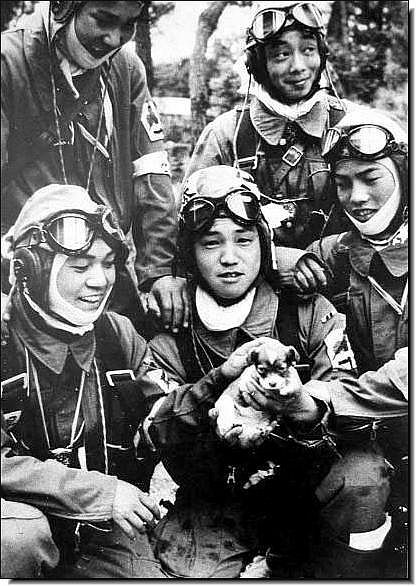 Many of the kamikaze pilots believed their death would pay the debt they owed and show the love they had for their families, friends, and emperor. "So eager were many minimally trained pilots to take part in suicide missions that when their sorties were delayed or aborted, the pilots became deeply despondent. 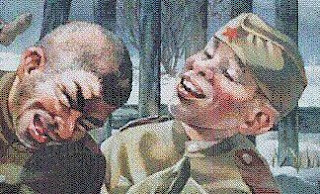 Many of those who were selected for a bodycrashing mission were described as being extraordinarily blissful immediately before their final sortie." The Kamikaze pilot's manual told pilots never to close their eyes. This was because if a pilot closed his eyes he would lower the chances of hitting his target. In the final moments before the crash, the pilot was to yell "Hissatsu" at the top of his lungs which roughly translates to "kill without fail". In 1944-45, the Japanese were heavily influenced by Shinto beliefs. Among other things, Emperor worship was stressed after Shinto was established as a state religion during the Meiji Restoration. As time went on, Shinto was used increasingly in the promotion of nationalist sentiment. In 1890, the Imperial Rescript on Education was passed, under which students were required to ritually recite its oath to offer themselves "courageously to the State" as well as protect the Imperial family. The ultimate offering was to give up one’s life. It was an honor to die for Japan and the Emperor. 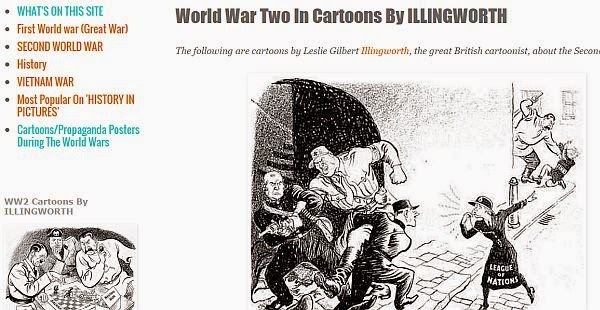 Axell and Kase pointed out: "The fact is that innumerable soldiers, sailors and pilots were determined to die, to become eirei, that is ‘guardian spirits’ of the country. Many Japanese felt that to be enshrined at Yasukuni was a special honour because the Emperor twice a year visited the shrine to pay homage. Yasukuni is the only shrine, deifying common men, which the Emperor would visit to pay his respects". Young Japanese people were indoctrinated from an earliest age with these ideals. Jap planes were coming at us from all directions. Before the attack started we did not know that they were suicide planes, with no intention of returning to their base. They had one thing in mind and that was to crash into our ships, bombs and all. You have to blow them up, to damage them doesn't mean much. 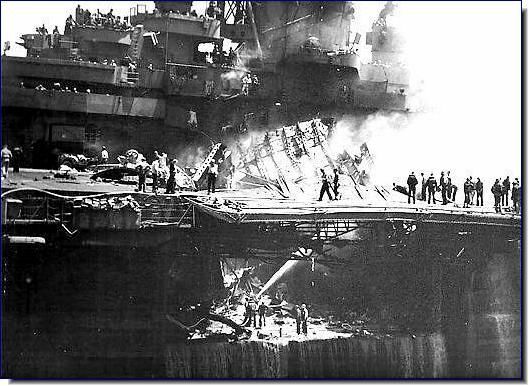 Right off the bat a Jap plane made a suicide dive at the cruiser St. Louis there was a big explosion and flames were seen shortly from the stern. Another one tried to do the same thing but he was shot down. 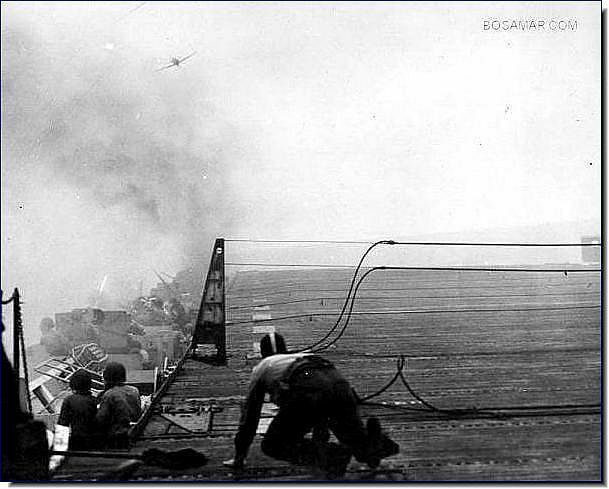 A Jap plane came in on a battleship with its guns blazing away. 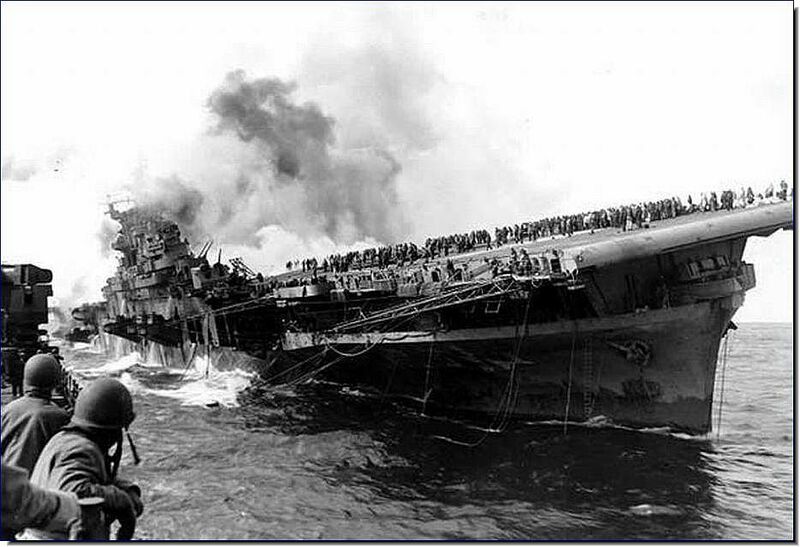 Other Jap planes came in strafing one ship, dropping their bombs on another and crashing into another ship. The Jap planes were falling all around us, the air was full of Jap machine gun bullets. Jap planes and bombs were hitting all around us. 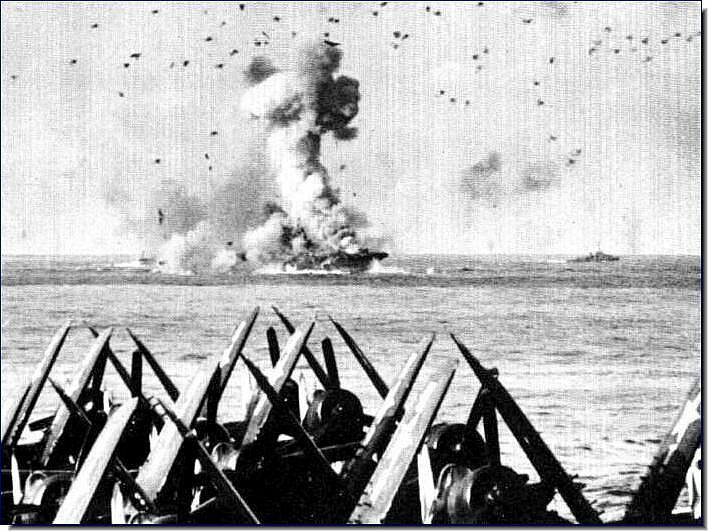 Some of our ships were being hit by suicide planes, bombs and machine gun fire. It was a fight to the finish. 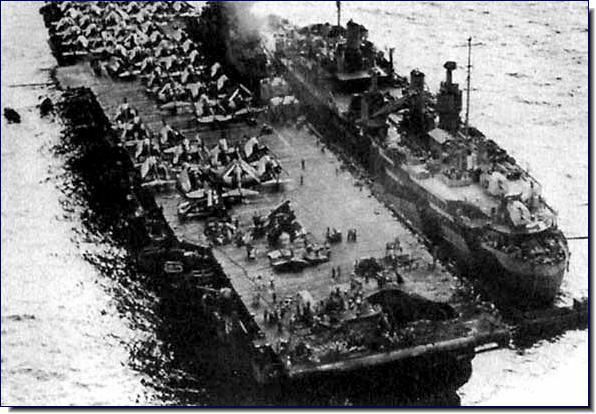 While all this was taking place our ship had its hands full with Jap planes. We knocked our share of planes down but we also got hit by 3 suicide planes, but lucky for us they dropped their bombs before they crashed into us. In the meantime exploding planes overhead were showering us with their parts. It looked like it was raining plane parts. They were falling all over the ship. Quite a few of the men were hit by big pieces of Jap planes. ..Planes were falling all around us, bombs were coming too close for comfort. The Jap planes were cutting up the water with machine gun fire. All the guns on the ships were blazing away, talk about action, never a dull moment. 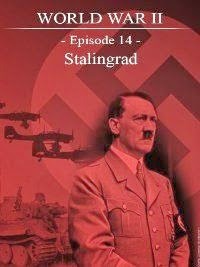 The fellows were passing ammunition like lightning as the guns were turning in all directions spitting out hot steel...The deck near my mount was covered with blood, guts, brains, tongues, scalps, hearts, arms etc. from the Jap pilots. The Jap bodies were blown into all sorts of pieces. I cannot think of everything that happened because too many things were happening at the same time." 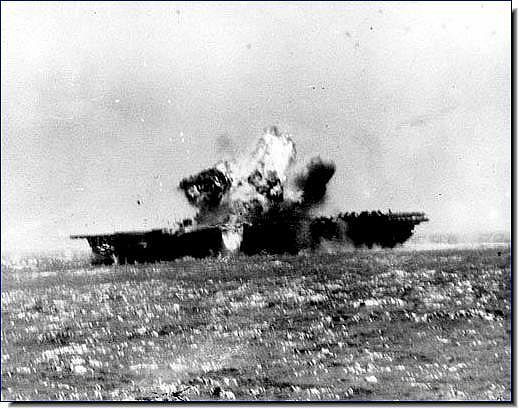 Most Americans perceive kamikaze pilots as faceless, lacking individual personalities. 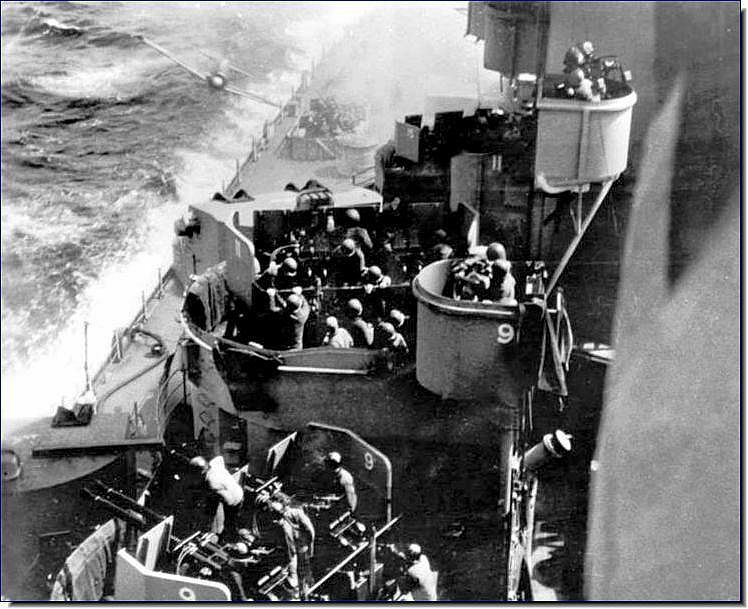 Lack of knowledge about kamikaze pilots has caused many Americans to speculate about their motivations, so many believe they were fanatical, suicidal, or forced to make attacks. Many people know little or nothing about the history of Japan's kamikaze corps, but they form their images of the pilots based on the Anglicized word "kamikaze," which has come to signify anyone having reckless disregard for personal welfare. Current terrorist suicide bombings have provoked comparisons to attacks made by Japan's kamikaze. 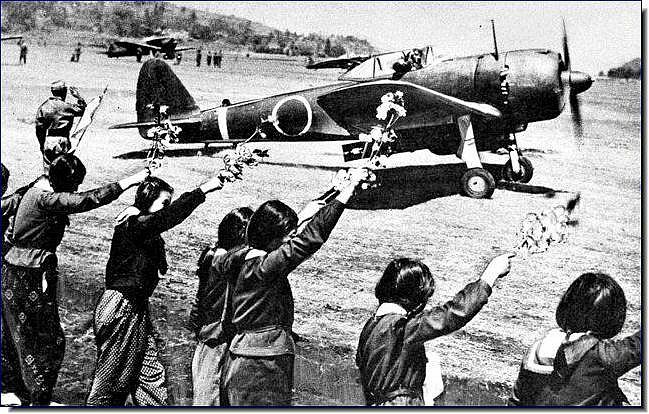 The Japanese people who said farewell to kamikaze pilots saw them wave goodbye with smiles and remembered them with affection. Those left behind saw nothing of either their being shot down from the sky or their crashing into American ships, so they remembered the pilots as young heroes who bravely went to their deaths in defense of their homeland. 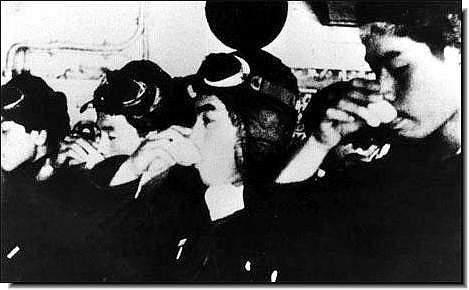 When the war ended, the public's image of kamikaze pilots changed drastically. 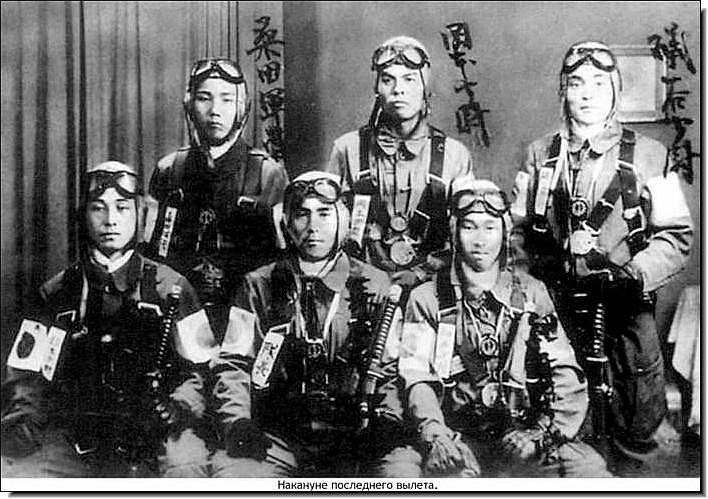 The Japanese public criticized kamikaze pilots and other special attack force members who carried out suicide attacks. 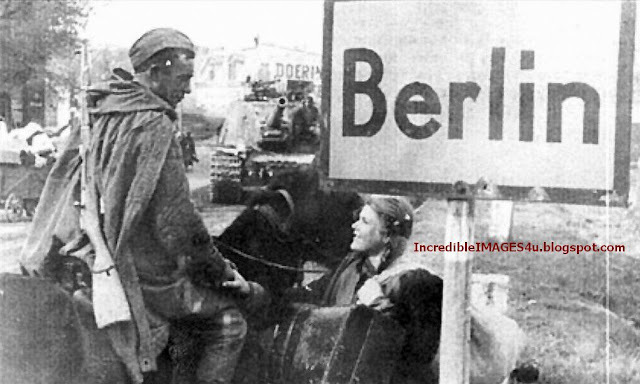 One surviving pilot says, "After the war all of us surviving Special Attack pilots were not only looked on askance or indifferently, but were also disparaged by being called 'Special Attack degenerates' and 'those ex-Special Attack fanatics'". 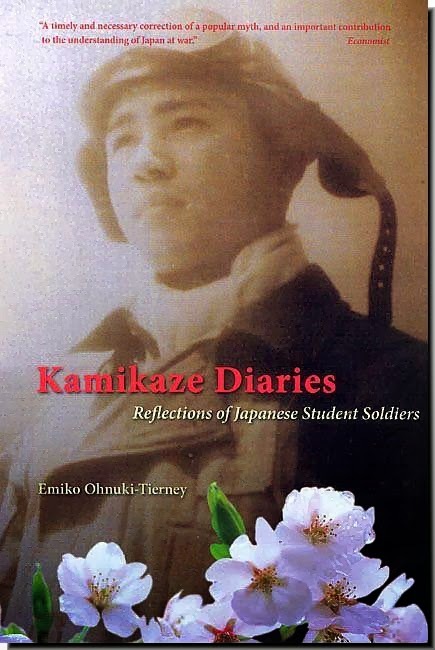 Ex-servicemen "pleaded that the public had to make distinctions between soldiers or military men (gunjin) and the 'military cliques' (gunbatsu) who were ultimately responsible for the war and its conduct" , but many Japanese people still regarded the kamikaze pilots with contempt. 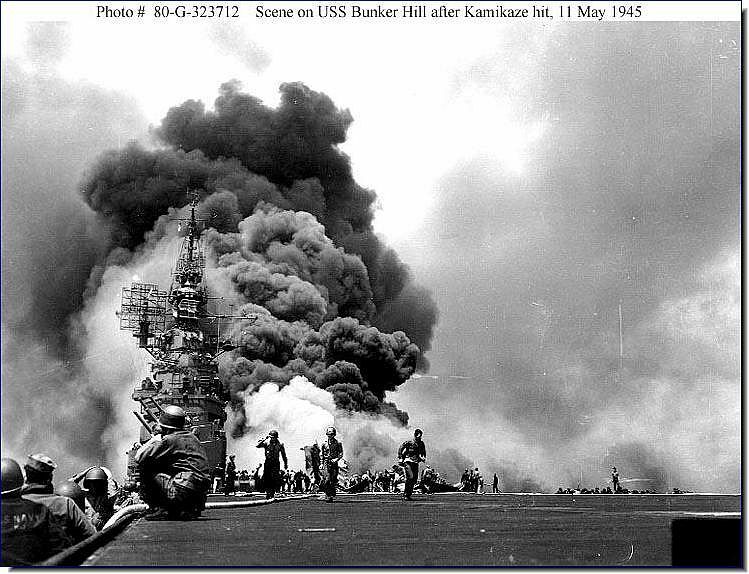 Over the decades since the end of the American occupation in 1952, kamikaze pilots gradually have regained the status of national heroes that they once enjoyed during the final stages of the war. 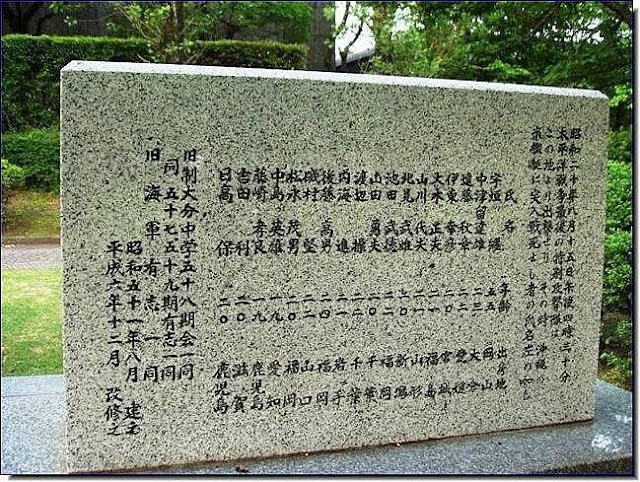 Much of this turnaround in public opinion came about through the efforts of the Chiran Peace Museum for Kamikaze Pilots, which opened in 1975 on the site of the former Chiran Air Base with the purpose "to commemorate the pilots and expose the tragic loss of their lives so that we may understand the need for everlasting peace and ensure such incidents are never repeated"
"Life has now become for me a true pleasure, - he said. - What a joyous spring it has become for us - those who are included in the [Special shock] compound: a much warmer and softer than the sad outside world!" April 20 , the day of departure Tembu, we have six new people, all full of confidence. When we posed for a commemorative photo, holding a branch of a cherry-red, I looked at his twig, which still had flowers, and said to myself: "What happiness, Yokota Yutaka, that you were born a boy! Woman could never feel this! "Zeal overwhelmed us. Shinkai and I swore to each other and sank the biggest ships, which only can be found. I thought about my age - nineteen - and the maxim "To die, when people still mourn your death, to die, when you clean and fresh - this is the true bushido." Yes, I went through a samurai. My eyes were shining, when I once again boarded the I-47. I am happy to remember how Andzay Nobuo quoted a poem, telling me that I "will fall as pure as the cherry blossom", which I now hold in my hands. My thoughts overflowed by the fact that so many times told me Lieutenant Fujimura Sadao, one of the instructors based in Tsutiura: "Never turn away the face of death. If in doubt - to live or die - always better to die ... "We have again embarked on the" Kaiten ", waving their swords, until escorting boats, from which came the good wishes, did not turn back. Then I got into the "Kaiten" and put the ashes Yadzaki and branch with cherry blossoms near the seat. Captain Miyazaki stood quietly and solemnly, but finally, unable to hold back any longer, stepped forward and said: "Please take me with you, Admiral." Ugaki firmly replied: "Do you have more than enough cases here. You stay." For Miyazaki, this refusal was too strong blow. He remained standing, but broke into sobs, weeping openly and without shame, while the others passed. 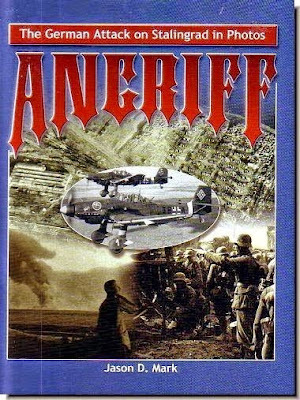 For Kamikaze fighters, when they realized that their operation is not successful, or that they will never be the case participate in any operation, it was a combination of the limit of frustration and disgust with himself, to overcome that sometimes it takes years, and they not only did not experience any pleasure from what is alive, but on the contrary - many try their best to avoid unexpected delays, killing himself. When Sei Watanabe said, just two days before he was to go for a suicide attack on Ulithi, that the war had ended, and he will soon be able to safely return home, "I cried and felt insulted.I was deprived of death. " 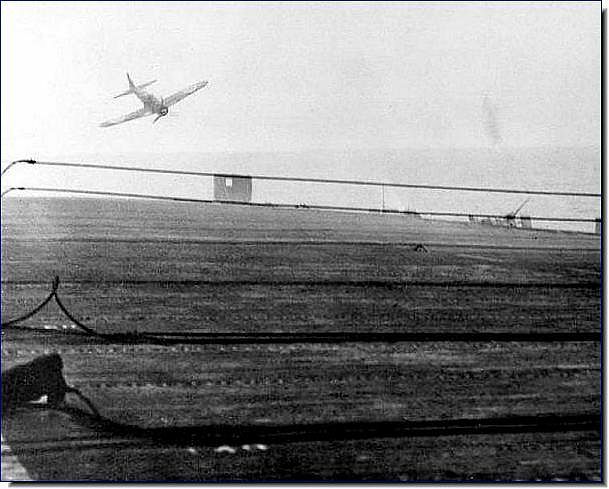 AMAZING PICTURES: Kamikaze during Second World War!